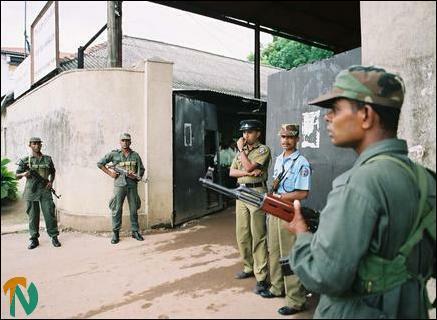 Sri Lanka's President, Chandrika Kumaratunga, prorogued the sittings of the Parliament until 19 November as Sri Lanka army took position at the state radio and TV stations and at Sri Lanka Telecom, the island’s telecommunications nerve centre. Security has been tightened at the government printing press where the gazette notification of the President's proclamations is to be published and made law. Unless the President secures the support of enough MPs from the Prime Minister Ranil Wickremesinghe’s ruling United National Front soon to form a new government, she will have to either prorogue Parliament or dissolve it. Prime Minister Ranil Wickremesinghe’s government was due to present its budget on 12th of November with many measures such as salary increases for public sector workers aimed at increasing its popularity. Sri Lanka’s share market that was on a bull run as prospects of peace got brighter last week, plunged as news of the take over spread. The President appointed former Inspector General of Police and party loyalist, Mr. Cyril Herath as the new secretary of defence and her media spokesman, Mr. Harim Pieiris as the Director General of the state TV, Rupavahini. 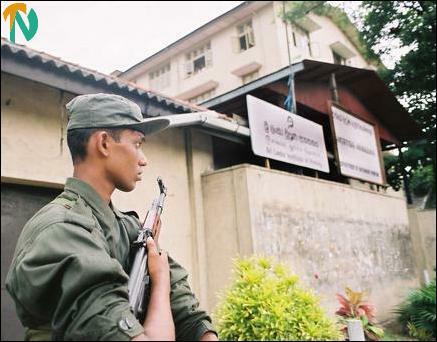 Military sources said further deployment of troops and riot police would be made, if the need arises, at the state radio and TV stations and at Sri Lanka Telecom, the island’s telecommunications nerve centre.